Demiurge joined forces with San Diego based artist Miki Iwasaki to fabricate and install, Mine Craft. 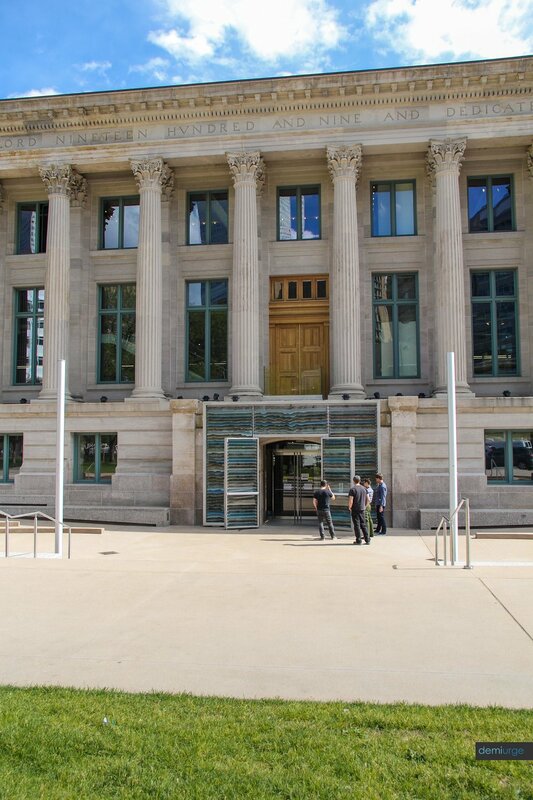 Located at the historic McNichols Civic Center Building in the heart of downtown denver, the piece was commissioned by the Denver 1% for Public Art Program as part of the renovations which included a redesigned entrance. Mine Craft is 19 ft wide and 13 ft high. Its structure is build from 4" x 10" Stainless Steel tubing. This robust structure provides the necessary structural support for the nearly 300 custom glass panels and intregrated LED lighting. "Our explorations in materiality and the overall composition of Mine Craft has brought us to the conclusion that a system employing all glass louvers is the most advantageous, for numerous reasons. 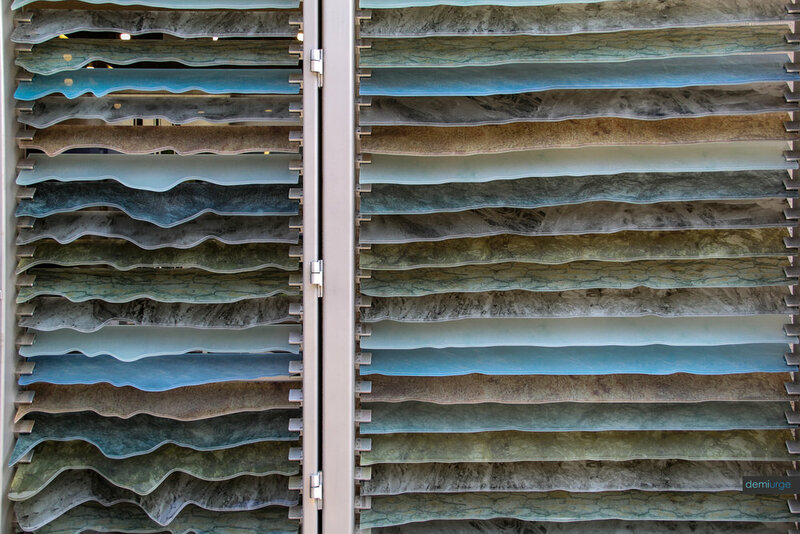 In order to expose and celebrate the existing structure and the newly exposed stone of the building, the layered glass system allows the building to be more fully incorporated into the design. 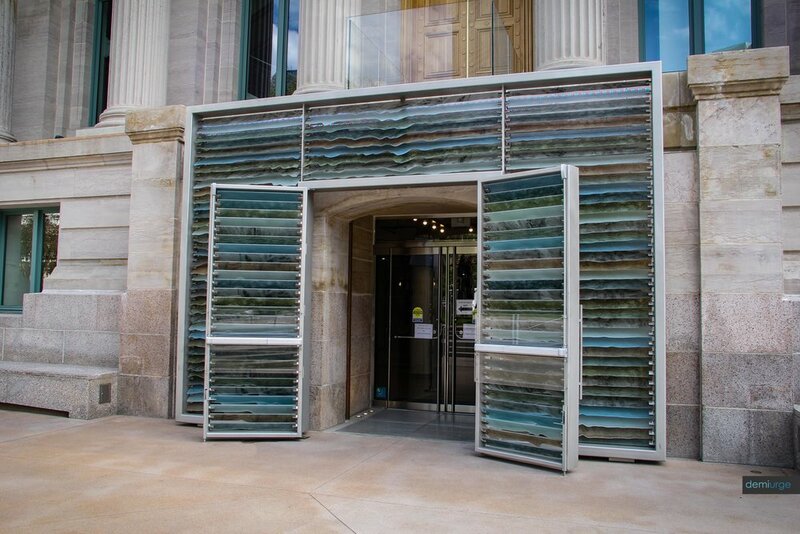 The glass louvers are transparent enough to expose the stone it sits in front of, while maintaining the initial proposal’s delicate blend of contemporary art and classical architecture. Additionally, the glass allows more opportunity for the building and the piece to be showcased during the evenings, utilizing backlighting. The decision to move to all glass construction was also influenced by a desire to remain true to the intention of creating a digital simulation of mixed materials. Instead of blending natural materials like stone and metal with non-genuine materials that would be representative of precious metals and stones, the piece, using just glass, is more pure and direct. 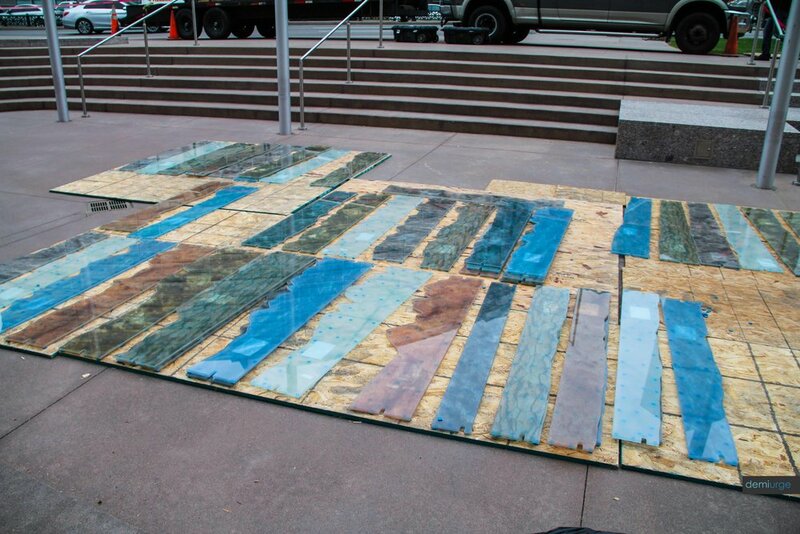 There is a uniformity in the way it’s rendered while still being representative of Colorado’s native mined materials. The message, we believe, is clearer and more concise. 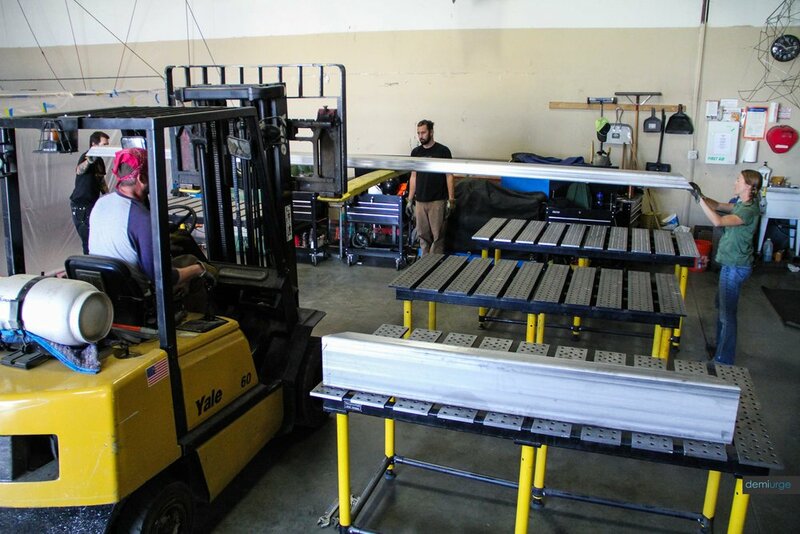 The glass design is a more elegant solution aesthetically, while offering more advantages at every stage of the fabrication, installation and management of the piece. The glass louvers are both lighter and more cost effective than previous material proposals and significantly reduces the number of components by allowing us to refine the detailing and mechanical aspects of the project."